St Mary Redcliffe is one of the most beautiful churches in whole of Bristol and is known well among locals and tourists. The church is a must go for any tourist visiting Bristol due to its elegance and grandeur. The place is a perfect blend between peace, worship and a great history that makes it the perfect place to be in. The church’s history holds a very important place in Bristol and is one of the most architecturally rich places in the region. From gothic architecture to glittered roofs the place displays exquisite beauty that will win your heart. Be a part of the soulful experience and witness Bristol in its true form. Buses from Redcliffe Way (Stop tt) can be taken to the destination. Trains from Bristol Temple Meads can be taken to reach the destination. 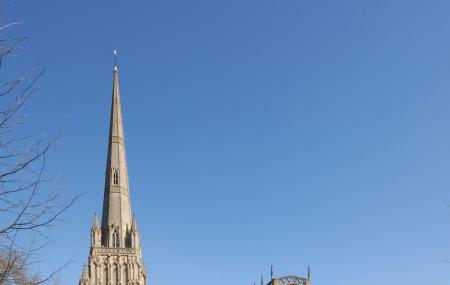 How popular is St Mary Redcliffe Church? People normally club together M Shed, Princes Wharf and Brunel's S S Great Britain while planning their visit to St Mary Redcliffe Church. Amazing place! The building was huge inside and so beautiful. All the detail in the construction is something worth going to see. A lot of history in this building as well. Very well kept and friendly people. I will definitely visit again next time I'm in the area. I love the serene feeling when I sit in this church. The resources available has helped me understand more about this locality too. Have enjoyed the Xmas tree exhibition! This church is so relaxing, there was an organ recital when I was there. Everyone I met was so friendly. The cafe in the undercroft is well worth a visit too.